How Many Rolls of Wallpaper do you need? 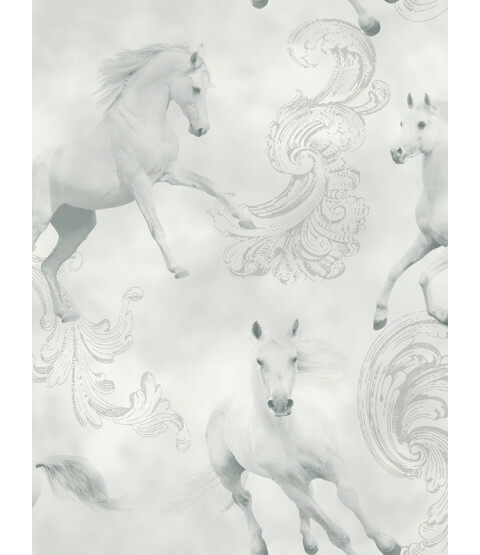 This beautiful Camarillo Horse wallpaper features galloping horses in tones of soft grey and white on a background patterned with silver plumes. 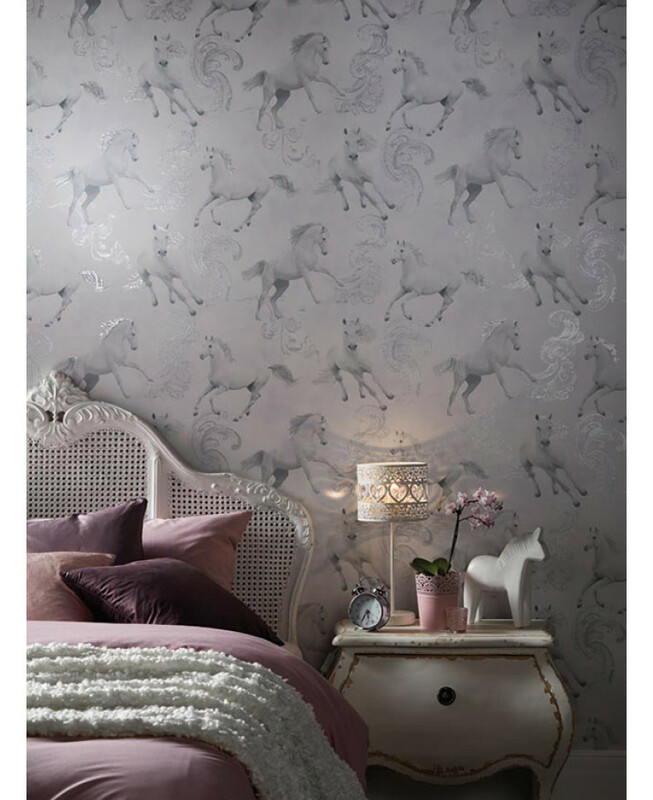 For added magic, the design has been infused with glitter to give that extra sparkle to your room. 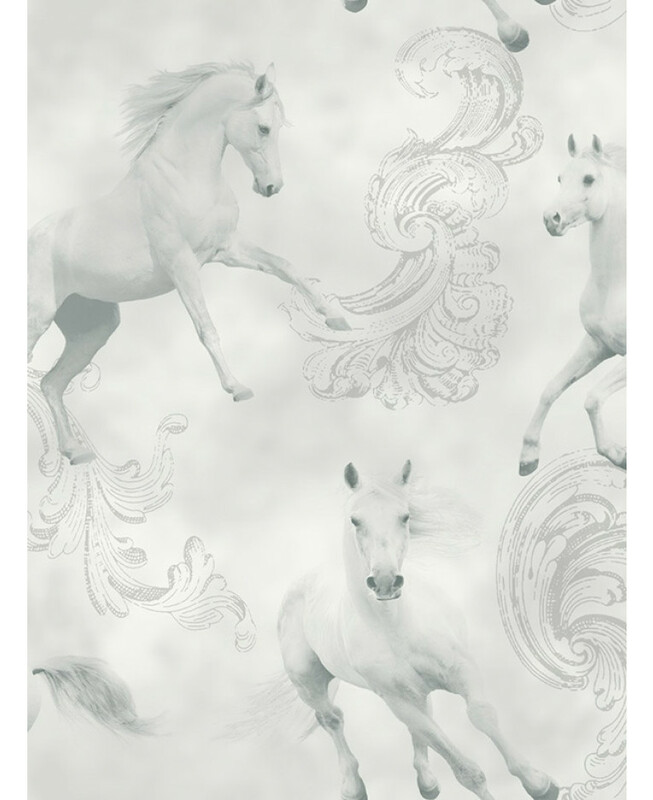 This wallpaper would look great as a feature wall when teamed with a coordinating wallpaper, or equally good when used to decorate a whole room.